Getting closer to the holidays, some people may dread the heavy foods that abound during these times. But as the season is a synonym for sharing good times and good food with loved ones, I’m sure we all enjoy the holiday season. 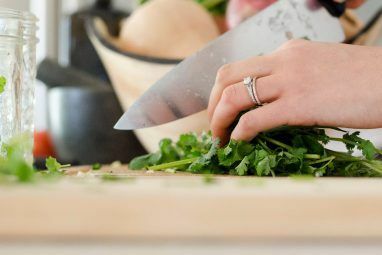 When it comes to enjoying food, there are loads of recipe sites that provide you with great food, some with more active communities than others. AllRecipes comes to mind, as well as Chow and Epicurious. Those sites may be really well-known but there are many more that you shouldn’t miss out on. Whether you can’t resist a restaurant’s dish or want to try your hand at making your own version, or whether you really want to keep a budget for your meals, the next couple of sites may just be your cup of tea. Top Secret Recipes contains a large collection of clone recipes for a variety of chain restaurants, from T.G.I. Friday’s, Outback Steakhouse to most fast food restaurants. The recipes are the food creations of Todd Wilbur, a self-proclaimed “food clone freak” who goes out of his way to uncover the recipes behind many popular dishes in chain restaurants in his lab kitchen. Since he’s been doing this for a really long time, some of his recipes are now behind a pay wall ($0.99) or only found in his books, but you can also find some of his restaurant-inspired recipes on his official YouTube channel, where he features a mixture of semi-homemade techniques so users don’t have to spend forever attempting a recipe. 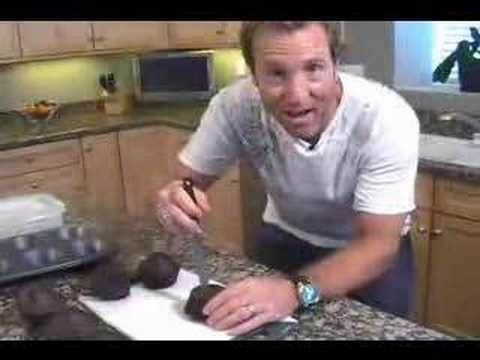 Here’s a video where he clones Chili’s Molten Chocolate Cake. Wilbur has a passion for coming up with these recipes in a super easy-to-follow way so that you will lose all fear and try the recipes yourself pretty soon. In fact, they’re so easy, he even made a video of his Snickers clone recipe while blindfolded, where of course, hilarity ensues. On his site, you can find ratings to some of his recipes, which are always helpful and aren’t available for clone recipes on other sites. This site offers an impressive number (1,500!) of articles and full recipes in written form, from monthly menus where she lays out many links to her own recipes to her versions of restaurant clone recipes, such as Olive Garden’s Pumpkin Cheesecake, (which only has original recipes on the official site) only available in the fall in the restaurant (but now you can try it any season!). Check out the Copykat restaurant recipes category for more. Copykat’s YouTube channel has some good videos that don’t rush into it. Here’s one where author, Stephanie Manley narrates over how to make KFC’s Buttermilk Biscuits. Like Top Secret Recipes and CDKitchen’s Copycat & Restaurant Recipes, Copykat offers recipes without process photos, which may not always help newbies The 7 Best Online Cooking Guides for the Beginner Cook The 7 Best Online Cooking Guides for the Beginner Cook You can learn how to be a great cook. These cooking guides for the beginner cook are few of the best places to start. Read More so that is why the sites in the next section are such gifts to humanity. 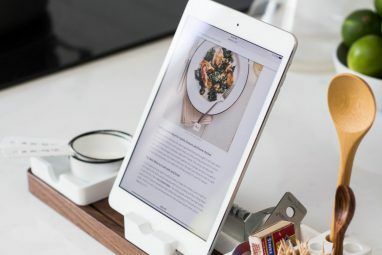 But recipes without photos aren’t always a bad thing, because at least in written format, they may be more accommodating than cooking videos which are sometimes too fast-paced. A true gem, Budget Bytes is a hard-not-to-love recipe blog that provides not only step-by-step photos (something I really wish Allrecipes would implement as it seems to hold the largest recipe collection), but it also provides recipe costs, serving costs as well as cooking time in an extremely thorough way, which is more win for readers! 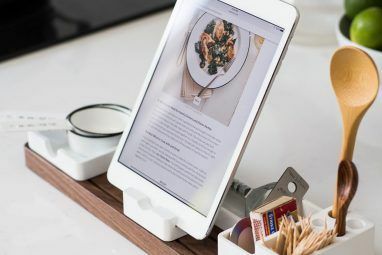 The site was initially featured on the MakeUseOf Directory for being a handy site with inexpensive recipes, but the scope of the recipes on here are far and beyond budget meals. As the motto of the site says (“On a mission to save money and eat well! ), the number-crunching author also gives a variety of recipes for the health-conscious and/or vegetarian. There is no rating system as this is a blog, but the response is very positive as you see in the comments, so this site is definitely worth a look or even a spot in your bookmarks. I guess I’m not the only that thinks that AllRecipes should allow step-by-step photos because another incredibly handy recipe website called Visual Recipes has emerged, focusing on providing stunning photo slideshows in user-submitted recipes for the visual learner. Like AllRecipes, it has a video section and ratings, as well as cooking time and serving sizes. Did you see Ratatouille and know what kind of food it is? MovieRecipe will let you know what was eaten in your favorite movie and even provide you with the recipe! The selection of movies isn’t very large, and some contain obvious items, but it’s an entertaining website for recipe ideas. There a myriad of recipe sites on the net today. Share your favorite sites on the comments below! I also like http://foodrecipes.helpof.com/ . It gives recipes category wise. Got some delicious food. Hmm, it seems like you can embed recipes from this site, but I wish the site had more features, like recipe ratings and/or pictures.